Spring needles combine the purpose of a darning spring on the needle itself. 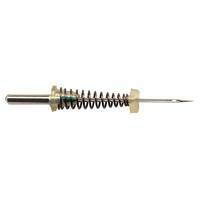 The spring needle is ideal for free-hand machine embroidery or monogramming in a hoop without the need for a darning foot. 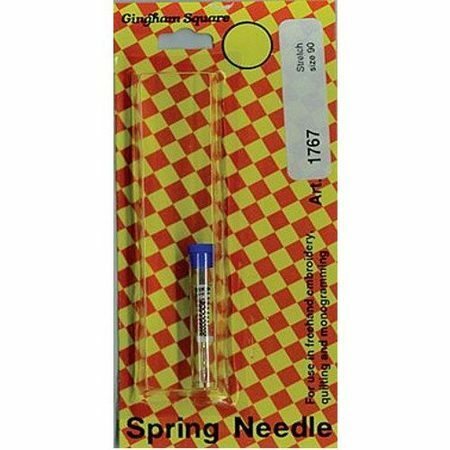 This spring needle is a stretch needle that is specially crafted to use on stretchy fabrics and prevents skipped stitches. The stretch needle is perfect for use with knits, fleece, and swimwear. Most Schmetz needles include two coded bands just below the shank. The top color code indicates the type of needle and the lower band indicates the size. 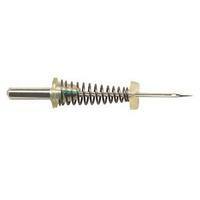 Schmetz spring needles will not normally have an upper color code, although they will still have a size color band. Can only be used with machines that take a flat back needle.